Home/ Why Do Movers Offer Different Services? As you begin the hunt for a trustworthy professional mover, you may notice that some moving companies offer a variety of services for all types of moves. 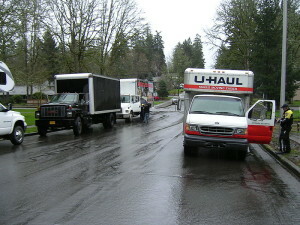 Some movers choose to specialize in certain types of moves. The services you need are dependent on what kind of move you have ahead. It is important to find a moving company that has services you need to safely conduct your move. This will only help everyone make sure that the process goes by as smoothly as possible. The services listed above are all geared to help certain moves. For example, if you have a studio that you need to relocate, small movers will have the solution you are looking for to carefully relocate your small home. If you have a commercial move you need assistance with, there are many movers that specialize exclusively in such large moves. They will have the right amount of space even if two trucks are needed and they will also have all of the top-of-the-line equipment needed for your move. It is always good that movers offer a variety of services. It only goes to show that they truly want to assist those who hire them for their relocation purposes. They are considered professionals for a reason and that is due to their experience and knowledge of conducting a move cautiously. They only want to make their customers happy and to relocate their possessions without causing them any harm. When you are in the midst of selecting services for whatever type of move you have in your future, ask the customer service representative about their insurance options. Insurance is just another feature that movers offer to their customers for added protection during the moving process. Usually, there will be a few different insurance packages. Some are probably better options for you than others, but the staff should be able to help you figure which is best. Having insurance will only help you to put your worries aside. If something were to happen to your property, the replacement or repair would be covered by the insurance purchased through the moving company. A homeowner’s insurance policy rarely ever covers belongings during transport.